Next: work out the devices you can watch online long-form video? Let's not call it TV anymore. Television is so last century! We will call it long-form video. There are several types of device that you can watch long-form video. These includes most smartphones, Personal Computers and tablet computing devices. Smartphones are mobile phones that come with either the Android or Apple iOS operating system. They have quite small screens and even smaller batteries. To get the best from them you will need to be familiar with idea of apps. Apps are small programmes that provide a specific vendor function. 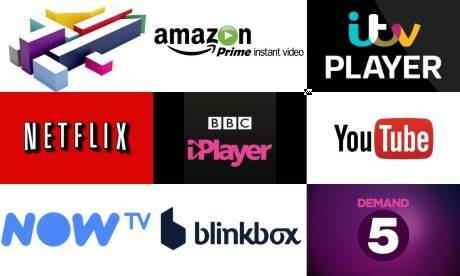 To watch long-form video you will need the BBC iPlayer, All 4, ITV Player, Demand 5, YouTube and – for a fee Netflix, apps. Once installed, each one will quickly help you watch the content from the supplier. On the upside, you can often download video content to a smartphone, so you can use the fast broadband at home to save a long-form video and watch it somewhere with a poor signal, such as on an underground train, on a bus or in the back of a car. However, you can easily flatten the battery, so you might need to plug the smartphone into a charger if you want to watch many hours of video. A small stand might make viewing content more comfortable too. In many ways the tablet computers are just larger versions of smartphones, but without the ability to make calls. They have larger batteries, and sometimes better battery life. Some devices have only Wifi (or wireless internet) access, other also have the ability to use (for a fee, of course) 3G and 4G mobile data. Generally the Android devices use the same app as smartphones, scaling the content to match the device. 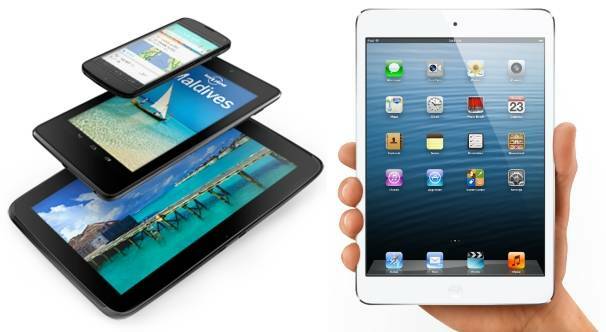 Apple's iPad devices usually need a separate, special compatible app to make best use of the larger screens. The larger screens are great for a single person and can be used in bed or sitting on a sofa with ease, but you will probably need to be intimate with someone if you want to share the screen. Some tablet devices have HDMI ports: this means you can plug them into a larger screen to share the video content with a roomful of people. Since the late 1980s the personal computer has general meant one of two things. Either a large metal box connected by wires to a monitor, mouse and keyboard, or a hinged portable device seemingly half screen, half keyboard. Today, these devices usually have a version of Windows on them and made by a large number of hardware companies, or are made by Apple. Generally speaking, on both system you will be using a web-browser to watch TV. This will probably be a software program called Chrome, Internet Explorer (possible Edge), Safari or Firefox. To watch long form video you will visit a web site, such as BBC iPlayer , On Demand - All 4, ITV Player homepage - ITV Player, Demand 5 | Channel 5, YouTube or - if you want to pay Netflix - Watch TV Programmes Online, Watch Films Online and Watch Movies, TV shows & Sports online instantly | NOW TV. With a laptop, you can choose here to watch TV anywhere you can rest the device. You can often use an HDMI cable to share the laptop's screen with a room of people. A great idea if you have a TV screen no longer connected to the live broadcast network is to use Chromecast. This £30 device plugs into the HDMI slot of any TV. Once you have set-it up – using your mobile phone or tablet to provide it with your wireless password, you can send anything you are watching on BBC iPlayer, Youtube, Netflix or NowTV to the TV screen. You can still use your phone or tablet to pause the video too, and it doesn't use the battery up. And, if you have Windows and Chrome, you can use the Google Cast to send literally ANY internet video to a Chromecast device. 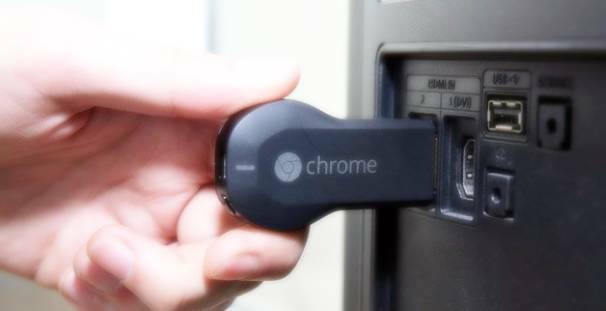 Another Google Chrome extension Videostream for Google Chromecast will allow you to send any video on your PC to the Chromecast with the minimum of fuss. So, are you ready to cut do the Cord Cutting now?